Click here for additional information about the evaluation criteria. The U.S. Air Force represented by the U.S. Air Force Installation and Mission Support Center and its primary subordinate units, the Air Force Installation Agency and the Air Force Civil Engineer Center is this year’s winner of the Award for Excellence in Awarding Small Business Prime Contracts. Mary S. Urey-Streeper, Director, Small Busines Programs Office for AFIMSC, was on hand to accept the award. Click here for the press release announcing the award. The Award for Excellence this year was sponsored by ECC, KEMRON, and PilieroMazza. Mary Urey-Streeper and members of her staff. 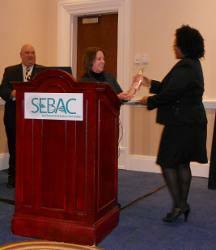 This was the second time the Office of Small Business Programs under the leadership of Mr. Tommy Marks received the SEBAC. Mr. Marks was on hand to receive the Award during our Networking Reception in Pittsburgh, PA on November 15, 2017. KEMRON and EA cosponsored the Award. 2015 – Why No Recipient? The Numbers Tell the Story. Pictured above are Paul Murphy, President of Eagle Eye, John Rupnik, President of SEBAC, Anthony Bell, Chief of the Small Business Programs Office, and Christine Godfrey, Deputy Chief, Environmental Community of Practice. 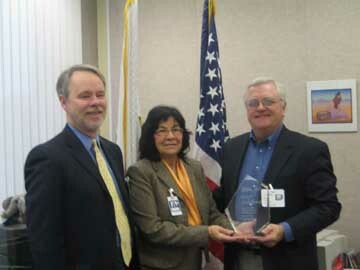 NAVFAC’s Larry Douchand accepts the 2006 Award for Excellence from SEBAC’s Sharon Stecker. Pictured above are SEBAC president, Paul Goldsmith and Col. John Rivenburgh, Judy Griggs, and Lt. Gen. Carl Strock of the US Army Corps of Engineers. Paul presented the Award for Excellence prior to the Small Business Luncheon at the USACE Small Business Conference on December 1, 2004, at the Crystal Gateway Marriott in Arlington, Virginia. SEBAC President Ken Harris presented the Award for Excellence in Awarding Small Business Prime Contracts to Lieutenant General Robert B. Flowers, P.E., Commander and Chief of Engineers of the U.S. Army Corps of Engineers (US ACE). 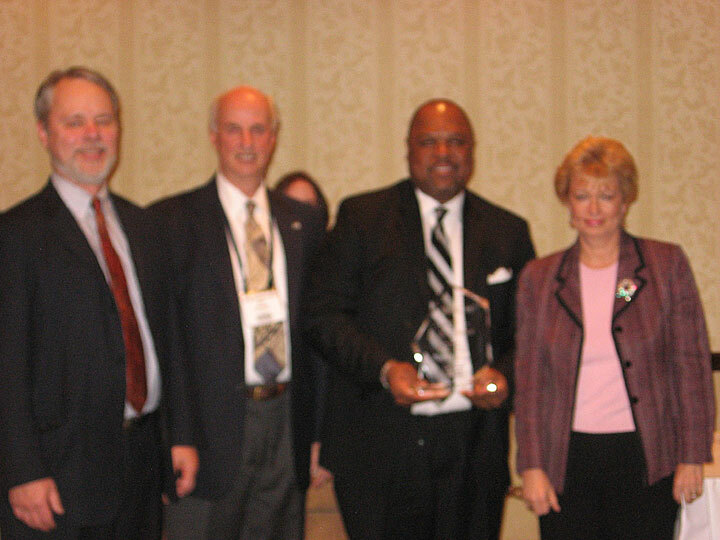 Ken presented the award on December 3, 2002, during the US ACE Small Business Conference luncheon at the Crystal Gateway Marriott in Arlington, Virginia.